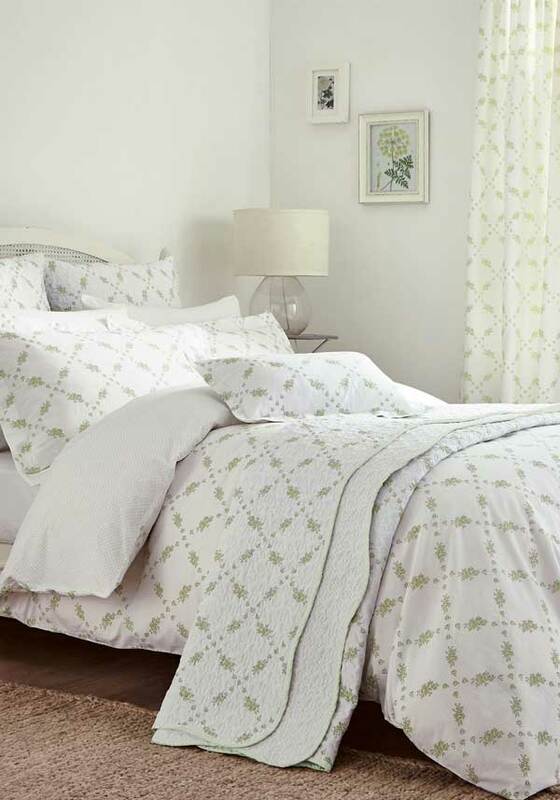 Pretty curtains, from Helena Springfield, in white with a delicate green floral pattern. The perfect way to finish of your bedroom and complete the Betsy set. Matching duvet covers, bed spreads, cushions and pillow cases available.